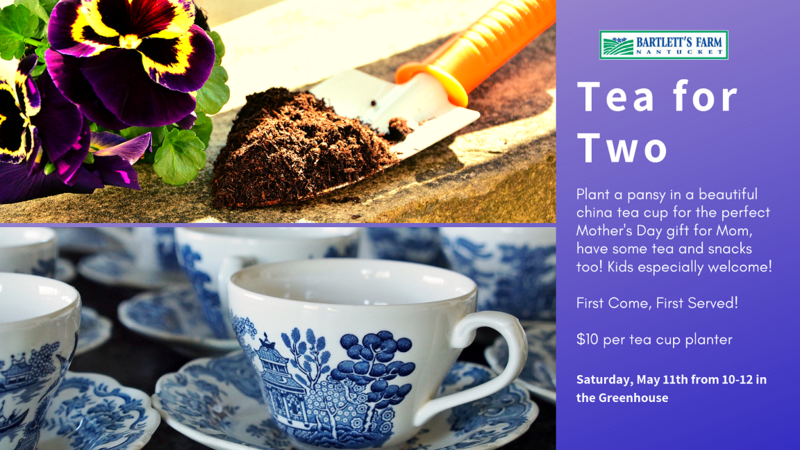 Join us in the Garden Center on Saturday, May 11th at 10 am for a lovely morning of tea, desserts and gifting for Mother’s Day! Plant a live pansy in a beautiful china tea cup of your choice to give to Mom. This event is perfect for children and adults alike. $10 per planted tea cup pansy. First come, first served!